Now this short story, by Joy Bridle, must be telepathy surely - coincidence and telepathy appear to collide at times. I lived in Gloucestershire [England] and my husband was in hospital having an operation for cancer. 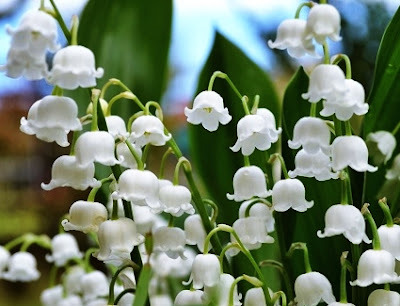 When I was picking lilies of the valley in my garden, I thought I would call a friend of mine who lived in Maryland, in the U.S, and tell her. I phoned her and she immediately picked up the phone and said, "Hello Joy." I said, "How did you know it was me?" She answered, "I was picking lilies of the valley in the garden and thinking of you." She was more than 3,000 miles away. I thought it was incredible.